His whole life, Gerd-Carlson had known only the strict routine of the city's Hygienic Code. Along with the remnants of mankind, he lived comfortably in the antiseptic environment of Enclosure Monos. 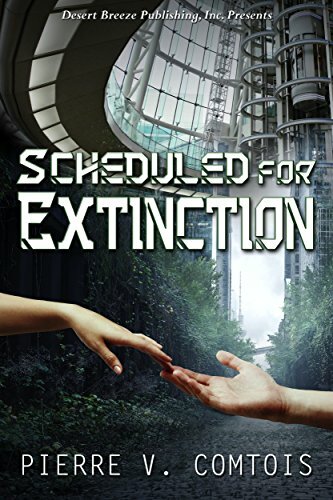 Cut off against the outside world, he and the rest of the dome’s dwindling population waited for the day when the last person would be gone leaving the Earth free of human contamination. Or so it had always been. Until one day, approached by the agent of a movement dedicated to freeing man from planned extinction, Gerd-Carlson was shaken from his complacency learning that the state had robbed him of his memories including all recollection of the woman he loved. Now, with his mind restored, and once again united with his beloved Dorcas-Fenris, he will dare escape from Enclosure Monos into the forbidden outside world to learn the secrets of the ancient environmentalists whose plan for man's extinction is on the verge of success! Available in digital format and print.